Point being, I'd been wanting to make these cookies for a long time, but I'm kind of glad I didn't manage to gather all of the ingredients until this weekend. 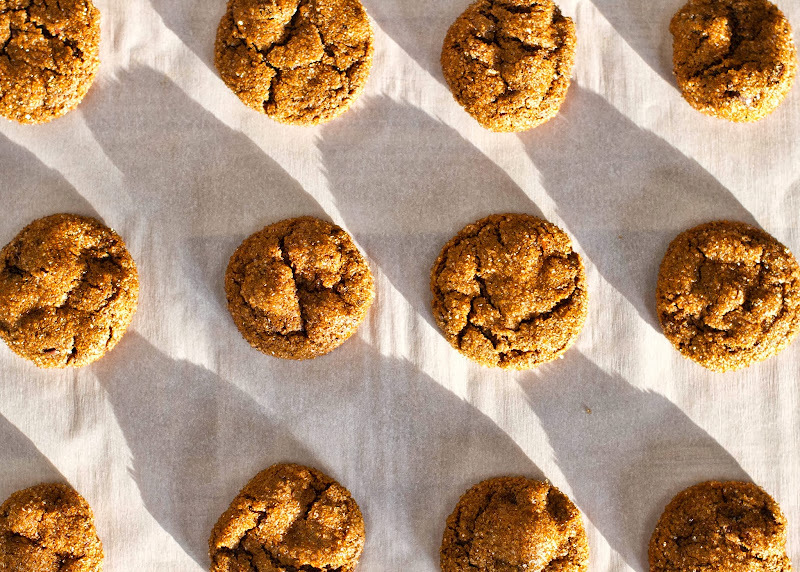 Because Fall has finally arrived here in Los Angeles and it was the perfect, vaguely chilly afternoon to make warming, spicy ginger cookies. Just check out that autumn sunlight! I'm already planning on making them again. In non-ginger-cookie news, Matt and I are super excited to debut season two of our cooking show. Little did you (or we) know it at the time, but that baked apple video with the massive cliffhanger ending was actually our season one finale! What the heck did that note say? Will there be a new intro sequence? Will Dame Judi Dench continue to insult my garden? Find out the answers to these questions and more next week! 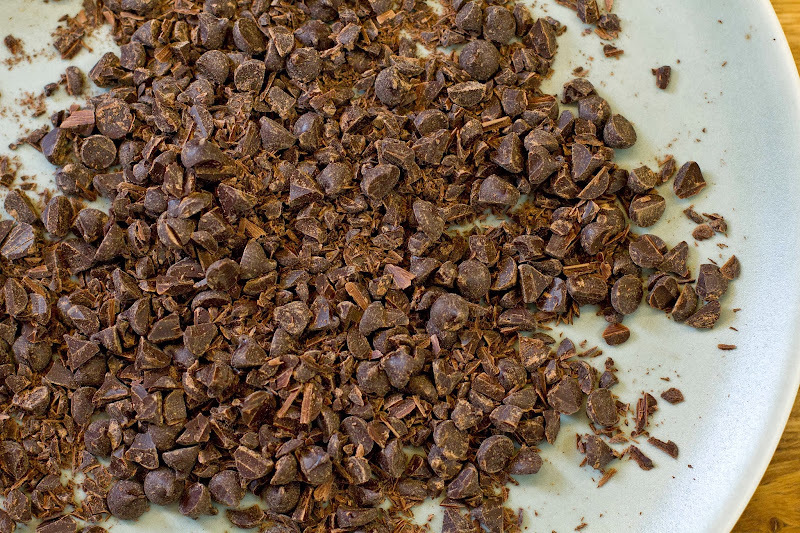 Finely chop the chocolate bar into 1/8-inch pieces, more like (mostly) shavings really. Heat the butter in a saucepan until it is just barely melted. 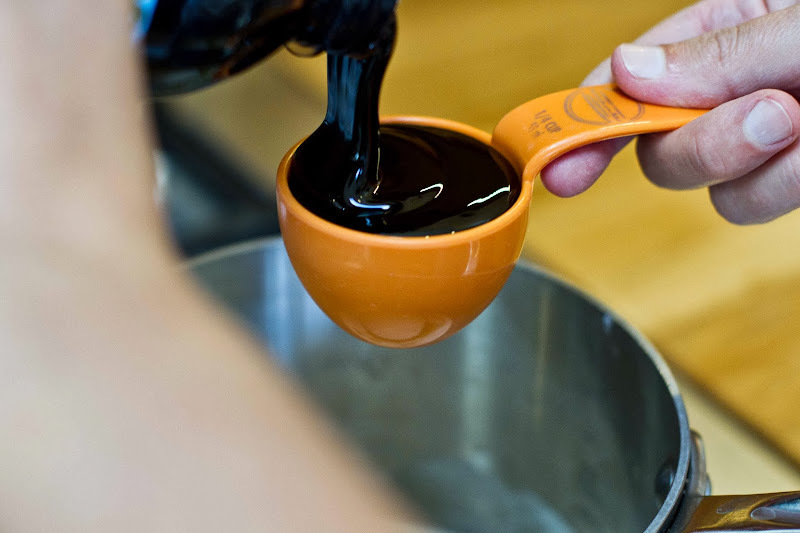 Remove from heat and stir in the molasses, sugar, and fresh ginger. The mixture should be warm, but not hot at this point, if it is hot to the touch let it cool a bit. Whisk in the egg. Now pour this over the flour mixture, and stir until just combined. Fold in the chocolate and apricots. Chill for 30 minutes, long enough to let the dough firm up a bit. Preheat the oven to 350F degrees - racks in the top and bottom third of the oven. Line a couple baking sheets with unbleached parchment paper or a Silpat mat, and place the large-grain sugar in a small bowl. Scoop out the dough in exact, level tablespoons. Then tear those pieces of dough in two and roll each piece into a ball. 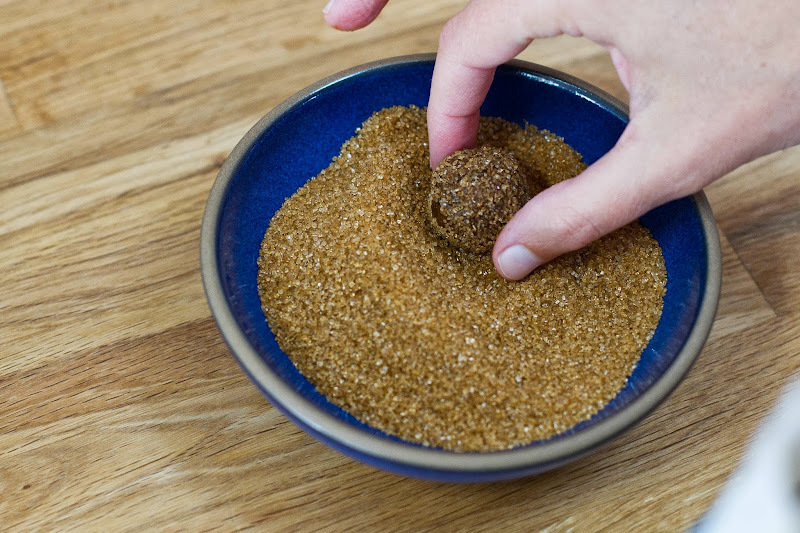 Grab a small handful of the large-grained sugar and roll each ball between your palms to heavily coat the outside with sugar. Place the cookies a few inches apart on the prepared baking sheets. 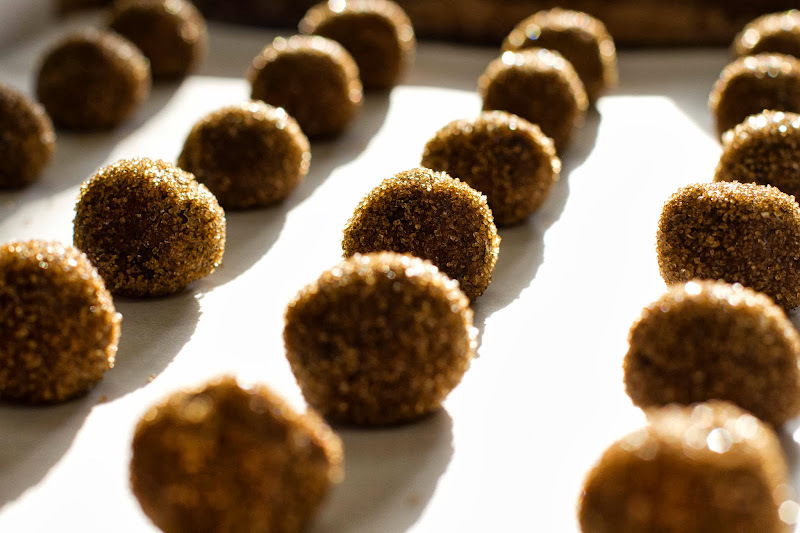 Bake for 7-10 minutes or until cookies puff up, darken a bit, and get quite fragrant. Just ate 5 of these. YUMMERS. Was just thinking about making something gingery. Thanks! Tim Daggett used to be my neighbor growing up! He kept a low profile though. Because you know, he's kind of a big deal. Also, these cookies look magical. Yum yum yum. I went for a walk instead of baking a cake last night. Wish we were neighbors now! Mike: Mmm. They are like gingerbread....clouds...falling from heaven. These look delicious! 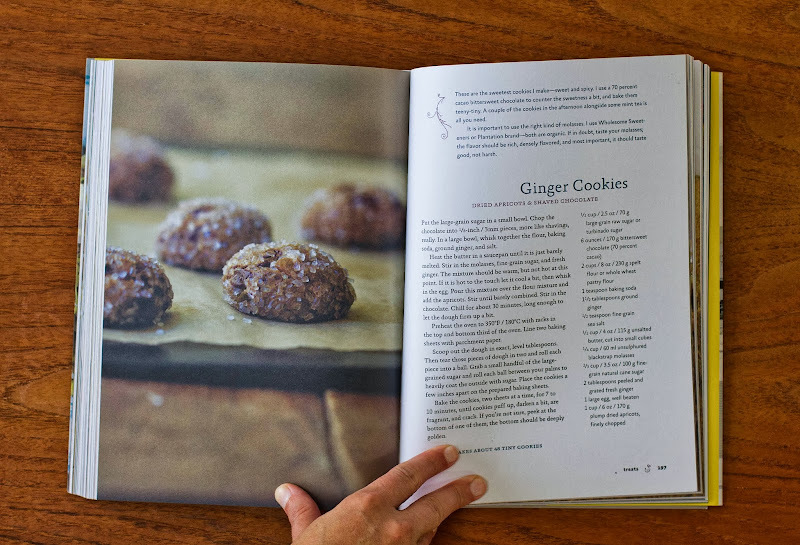 I never thought I liked ginger cookies until recently, now I'm trying to figure out a good recipe to make my own. This might be it! The sound of Tim Daggett, Elfie Schlagel, and Al Trautwig's voices is music to my ears, bringing me back to a time and place when all I cared about was getting to stay home sick from school, ALL ALONE, and watching my 1992 Olympics video tapes on repeat, doing all the floor and beam routines along with the gymnasts (minus the tumbling passes), with intermittent breaks to read from my International Gymnast magazine subscription. These ginger cookies sound almost as comforting!! hahahahaa That's awesome. And you're welcome!! 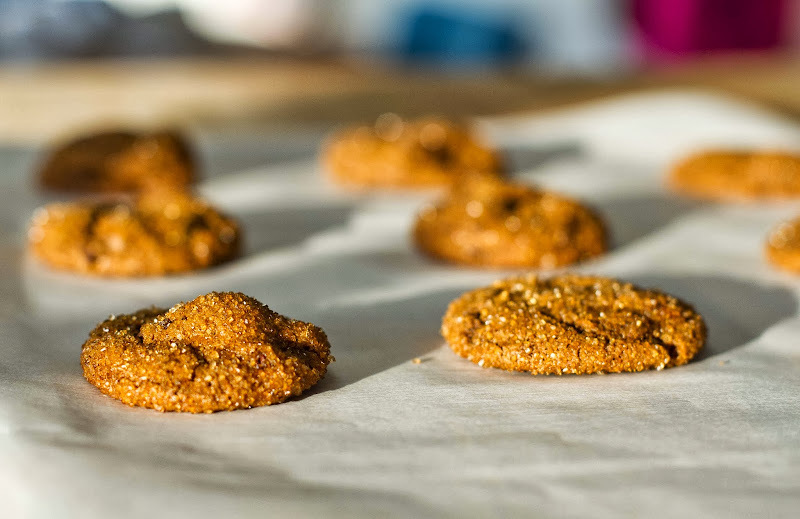 Dried apricots in ginger cookies! Yes! Nothing short of brilliant a combination like that. I can't wait to make these and to watch the sequel to that cliffhanger soon, of course. Just wanted to mention that my mom has discovered that for older people with appetite/nausea problems, eating ginger can really be helpful. Or at least a little helpful. Very gingery and nice but I almost felt like the chocolate took away from the cookie rather than add to it. I'm going to try these adding nuts instead for a bit more crunch. But these are definitely easy to make and the ginger flavour really comes out.